Let’s just say that the we respect the 12.3-megapixel APS-C sensor, 23mm f/2 lens Fujifilm X100 digital camera immensely; but for a more in-depth look better have a read at our lengthy review here. 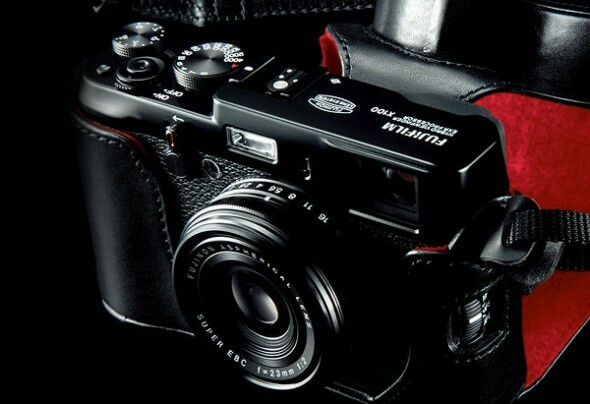 After almost a year since the original X100 was released, Fujifilm is following up with an all black edition of only 10,000 pieces worldwide. The appropriately named X100 Black Limited Edition set includes a sweet black X100 digital camera, black leather case, adapter ring, lens hood and a 49mm filter. The package can be had for $1,699.95 over the $1,200 which would buy you the plain old two-tone X100. That’s a hefty premium considering you can get the leather case and the adapter ring and hood for less than $300. Now if you are willing to pay the $200 premium for the black version, both B&H Photo and Adorama have the set in stock.